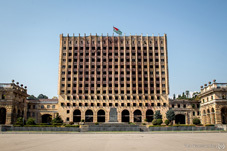 Official Tbilisi has condemned the decision of the de facto parliament of the breakaway region of Abkhazia, which aims at depriving Georgians the right of inheritance of the property in the occupied region. The so-called amendments were made by the “parliament” of the Russian-occupied region with the first reading. David Zalkaliani, Minister of Foreign Affairs of Georgia, says that the decision of the so-called parliament of Abkhazia is a direct manifestation of discrimination on ethnic grounds, which has taken place in the past too. "Sadly, we often face similar problems. This has no legal basis, and the international community will not consider it or accept it. We will address all international organizations and formats in order this issue had a proper response,” he said. In addition, Zalkaliani noted that the Co-Chairs of Geneva International Discussions have already been informed about the issue. “We will use all formats and call on the international community to react to this violation of human rights,” the minister added. Moreover, State Minister for Reconciliation and Civic Equality Ketevan Tsikhelashvili states that the steps of the so-called parliament of Abkhazia are not legitimate. The minister believes that on the background of the problem, when human rights and property rights of the local population of breakaway Abkhazia have been violated and 300,000 people still cannot return to their homes, this step of the de facto authorities was not surprising. “This step can be considered as a continuation of the occupation policy…Any decision about a property in the occupied territories is invalid according to Georgian law. This decision cannot have a legal basis and cannot be reviewed in the future,” she added. The initiative which deprives Georgians of their legal rights belongs to so-called MP Raul Lolua who stated that initially the ban will affect the citizens whose family participated in the war “against Abkhazia or helped Georgians." “Therefore, we initiated amendments to the law and deprive the members of the family who fought against the sovereignty of Abkhazia, participated in hostilities against Abkhazia or assisted occupational forces, of the right of property inheritance," said Lolua. In addition, he said that in the future the de facto parliament will adopt more amendments that will affect all the Georgians and abolish their right of inheriting property in the breakaway region.